We live in a world where our lives are dependent on apps. Whether you are a consumer or a creator, you are bound to use an app. The way apps influence us has made them an essential part of our lives and the demand for useful and engaging apps is constantly rising. From a corporate point of view, it allows for efficiency and flexibility that can help your business productivity grow. An app can let your employees work and connect from home rather than being disconnected. From a consumer point of view, the app enables them to make purchases and use services on the go rather than using a computer or laptop. As a start-up, you need to think about the future and make your presence felt. An app will help you expand your outreach when it comes to engaging with your target market. 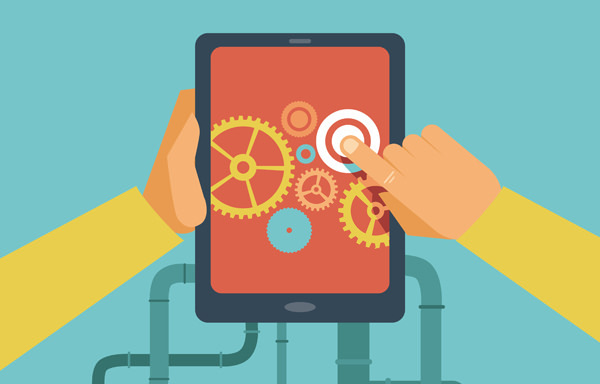 Building an app is a great way to centralise and optimise all your business activities. So, let’s take a look at why building an app is the next big step for start-ups to take. Building an app has become increasingly easy as many online services provide you with the opportunity to create customised apps that will represent your brand/service. There are many apps and websites available that allow and help you to build your own app. Whether you own a bar or restaurant, or a fitness shop there are many templates to choose from. You can use a useful free site called yappi.me which helps you in creating an app that will ensure you not only have in-store sales, but are able to sell products from your app by following their quick and easy tutorials. Having an app is a great way of growing and engaging your customers, by offering them discounts and special coupons you will begin to see an increase in your client base. One of the most important reasons why a start-up business should build an app is to increase the efficiency of your business. An app is a great way of offering optimum customer service and building a customer database. When your customers make purchases you will have a better idea of getting to know their purchase pattern. That way you will be able to target them with products and sales that best suit their needs. Mobile apps are a great tool for implementing targeted marketing channels because they only focus on people who are already aware of your business. This means you can target your most potential customers. In order to execute this plan, your app needs to be efficient and user-friendly. It should be able to provide all the relevant business information such as prices, booking forms, user accounts and news feeds. It should be an all-rounded app that will allow you to target your customers through a highly tailored approach. Apps can benefit small businesses just as much as they benefit big corporations. Many small businesses feel that having an app may not be necessary, but integrating an app with your small business will help make your business stand out from others. Whether you are a small start-up or an established startup, an app can give you a competitive advantage as it will give you a better chance to interact with your customers by having a forward thinking approach. Businesses that conduct e-commerce via an app will see an increase in customer engagement. An app lets you collect additional information that in-store purchases won’t. The ability to get information regarding customer interests and behaviour will help make your strategy more targeted and focused. Customisation of your products will be a great way of letting them know that you understand and care about their needs. Many businesses offer loyalty programs, but with an app they will enable you as a business to create a customised loyalty program that will target every customer differently based on their likes and previous purchases. Even as a start-up, your customers will be able to interact with your business and products. Make a points system, the more points they collect the better deals they will get on the products they already know about. Whether you are a start-up or an established business, an app can truly help take your business to the next level. It will create opportunities that your websites and other platforms won’t be able to create. Every business needs to have tools to better understand their customers. An app can help businesses understand their customers better, enabling them to provide promotional deals and discounts targeted to each customer. You can also invest in apps that simplify your day to day activities.